Recently, TNPSC released the Group II Interview Post Recruitment Notification and that is still in the Top List of Breaking news among the aspirants. After knowing about the 1199 Vacancies recruitment notification, aspirants were wasting their time searching TNPSC Group II Study Materials & Model Exam Papers online & many have joined unknown institutes that make no change at all. In RACE Institute, our TNPSC Students know that the Ever-Green Study Materials, Handouts, Classroom Coaching & Practice Programs we are providing are enough to crack TNPSC Group II Examination. But still, we have been getting numerous requests from the Group II Candidates to provide Online Exam Series to practice TNPSC Group II Examination 2018. Since TNPSC is all set to conduct TNPSC Group II Examination in Online Mode; we have a huge responsibility to support RACE & Non-RACE Candidates for the TNPSC Group II Recruitment by providing Online Exam Series for their practice. With the hope & expectations you have had on us, our RACE TNPSC Team has come up with a great idea on delivering Highly Expected Questions to those who are all preparing for the TNPSC Group II Examination. 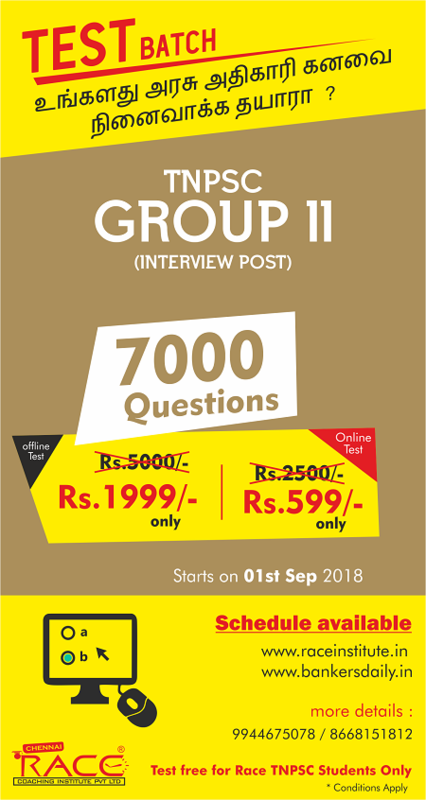 The TNPSC Group II Exam Series consists 50 Topic wise Exams & 10 Full-Length Exams exclusively prepared for the upcoming TNPSC Group II (Interview Posts) 2018. 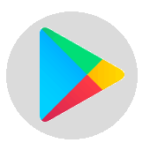 இந்த தேர்வுகள் OFFLINE / ONLINE என இருவழிகளில் நடத்த திட்டமிடபட்டுள்ளது. TNPSC Group II Exam Series will be FREE for RACE TNPSC Students only. RACE Banking, RACE SSC & Non-RACE Students can buy this Test Series at Chennai, Salem, Coimbatore & Thanjavur Branches only. Note: OFFLINE Test Admission now open only at @ Chennai, Salem, Coimbatore & Thanjavur RACE Branches only. Test Series will be available from September 1, 2018. Check Test Series Schedule Below. Test Batch-ல் சேர்ந்த அனைவருக்கும் அனைத்து வினாத்தாளும் வழங்கபடும். Get TNPSC Test Series today & Crack TNPSC Group II Examination with ease. TNPSC Group II Interview Posts-க்கான Test Series Schedule இத்துடன் இணைக்கபட்டுள்ளது. Full Model Tests will be Conducted in TNPSC ORGINAL EXAM Format. 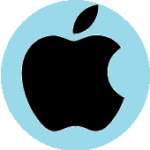 The test will be available both online and offline. General studies questions will be available in both Tamil and English. Questions are prepared from Samacheer School Books, old school books, and Previous & various competitive exam Books. All test answer key will be available on Bankersdaily website after the exam. The schedule is subjected to change. Keep checking this page for further updates in Schedule. After releasing the hall tickets, it’s mandatory for continuing the exam. The full test will be conducted as per TNPSC Norms. One year of Current Affairs (Jan – Oct) Brahma Magazine will be given at free of cost. All the Best for your TNPSC Group II Examination on 11th November 2018. Get TNPSC Online Exam Practice @ Rs. 599/- Only. 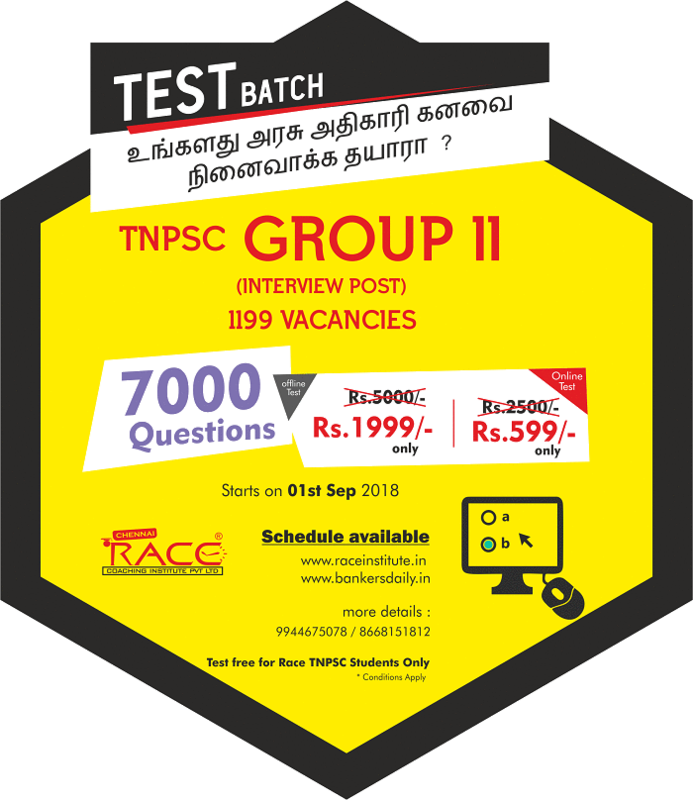 Want to crack TNPSC Group II Examination?